We get asked a lot of questions about water and wastewater treatment. Here are the most popular. Question: How can we reduce our carbon footprint? Answer: How about having the foils delivered to your location and the filters built on-site? Because 2H foils come in flat-packs, they can be delivered in large quantities – on average 38 tonnes per truck – direct to a location convenient for you. 2H has manufacturing plants worldwide which not only helps minimise delivery miles but also ensures fast product availability. As a result, the average UK delivery distance is 150 miles, producing a carbon footprint of 0.5kg per cubic metre and CO2/m3 emissions of 3.45kg. 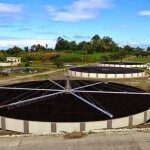 Question: How can I improve my existing wastewater treatment plant? Question: Can you prove that the 'media' is up to the task? 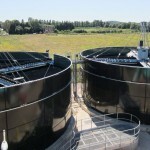 Question: Replace lamella settlement tanks with a tubular system? laminar flow. Speed is one of the most obvious – and important improvements. In a traditional settlement tank or clarifier, the solids can travel virtually the entire length of the tank before settling at the bottom. 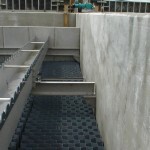 Question: How can I improve throughput for a horizontal lamella clarifier? .. Improved Economy from multiple sedimentation planes being housed in a single tank and therefore thus reducing the size and cost of tanks. .. Significant process enhancements resulting from TUBEdek’s flexible design and interlocking profile which encourages laminar flow. TUBEdek can be adapted to meet any process design requirement by varying the inclination, length of tubes and module sizes. .. Simpler installation, cleaning and maintenance due to the mechanical strength of the unique tongue and groove assembled system. .. The industry’s most efficient lamella settlement process as each TUBEdek installation is customised to suit the application and deliver the required results. .. Easy assembly is an added advantage in larger installations where TUBEdek modules can be built close or even adjacent to the site.